The idea to create a new club affiliated to the TICA International Association, almost unknown in Israel, didn’t appear out of air. Having gathered a positive experience while participating in FIFe cat shows and not always positive but not less important experience in arranging WCF shows, we would like to try arranging a Cat Show in Israel in accordance with the American system. Thereupon, we need both a club and like-minded, partial enthusiastic people. The doors of our club are opened for anybody; fresh ideas and initiative are always welcome. 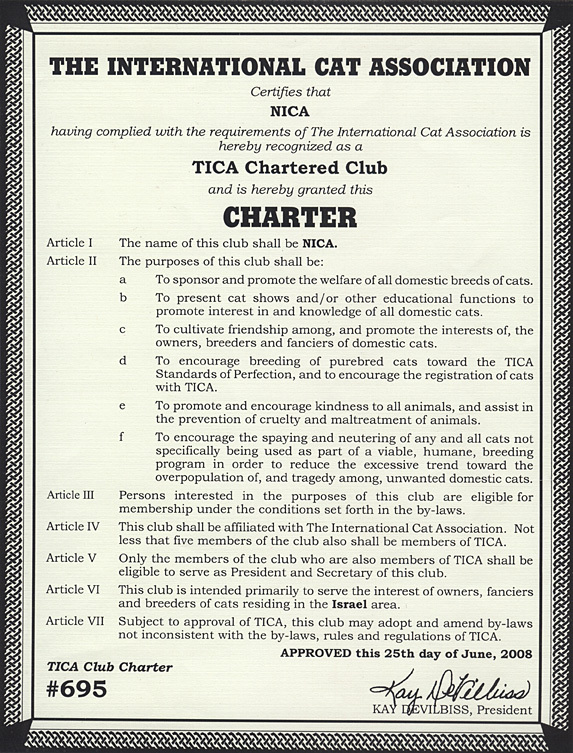 We want to turn our club to an association of like-minded people, a place where you can relax, interact, exchange ideas and advices, share your joy and get support in the hour of need.The Club Executive Board includes both the most experienced breeders, registered with TICA for many years, and very young ones, just recently registered their catteries with TICA. 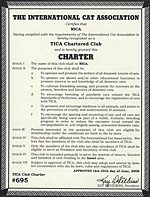 By the way, dual membership in TICA is not prohibited, and the need for primary registering litters with TICA is not required. We have the willingness, experience, and energy, therefore we should succeed!